October is Breast Cancer Awareness month, and for the fifth year, Liga MX’s annual pink-themed campaign for breast cancer awareness is being joined by a blue-themed campaign for prostrate cancer awareness. As part of the campaign, Voit has introduced a new color scheme for the official match ball, with the orange and red flames of the #BeTheFire ball replaced with shades of pink, and the black text and logos on the ball replaced with blue. This entry was posted in Apertura 2018, Liga MX, Soccer and tagged ascenso mx, be the fire, breast cancer, breast cancer awareness, breast cancer month, cancer awareness, futbol, liga de ascenso, Liga MX, Liga MX Femenil, prostate cancer, soccer, voit, voit fire on October 8, 2018 by Alex. Promotion and relegation in Liga MX is no longer as straightforward as it used to be. Not every Ascenso MX team is eligible for promotion, while the relegated Liga MX team has the opportunity to remain in the first division. The Ascenso MX champion will move up to Liga MX only if they meet the requirements, including economic stability and transparency, proper infrastructure, and the ability to field U-20, U-17, U-15, U-13, and Liga MX Femenil teams from their first season in Liga MX. This entry was posted in Apertura 2018, Liga de Ascenso, Liga MX, Soccer and tagged ascenso mx, Liga MX, promotion, relegation on June 11, 2018 by Alex. 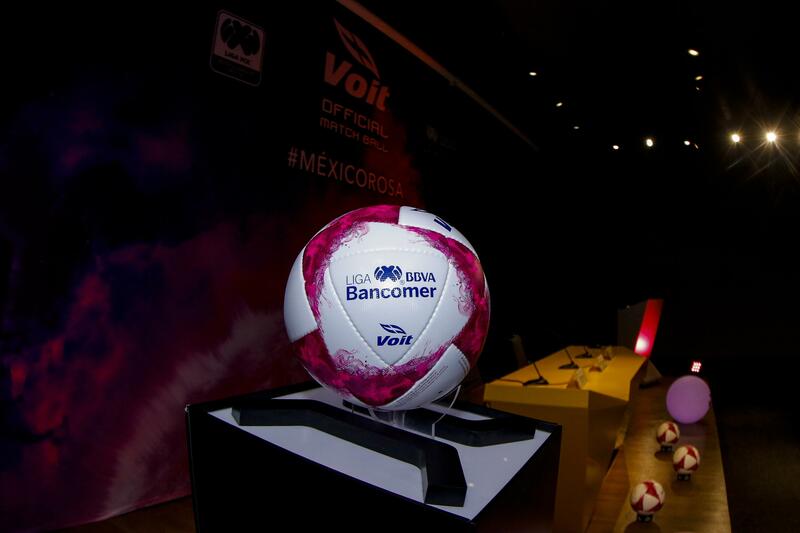 Voit has introduced a new match ball for Liga MX, Liga MX Femenil, Ascenso MX, and the Copa MX, which will be used during the Clausura 2018 seasons: the Lummo Blaze. This entry was posted in Clausura 2018, Copa MX, Liga de Ascenso, Liga MX, Liga MX Femenil, Soccer and tagged ascenso mx, ball, blaze, copa mx, futbol, liga de ascenso, Liga MX, Liga MX Femenil, lummo, soccer, voit, voit lummo on December 20, 2017 by Alex. After the devastating earthquake that struck central Mexico on Tuesday afternoon, Liga MX has postponed this weekend’s Jornada 10 games. In addition, Ascenso MX, Liga MX Femenil, and the U-20, U-17, and U-15 weekend games have all been postponed as well. The decision was made after communication with local, state, and federal authorities, as well as to show solidarity with those affected by the quake. In announcing the postponements, Liga MX called on fans to contribute to donation centers and the Red Cross. Many Liga MX teams have turned their stadiums into collection points for bottled water, canned goods, and other needed supplies. This entry was posted in Apertura 2017, Copa MX, Liga de Ascenso, Liga MX, Liga MX Femenil, Soccer and tagged ascenso mx, copa mx, futbol, jornada 10, Liga MX, Liga MX Femenil, postponed, soccer, week 10 on September 20, 2017 by Alex. Ascenso MX has announced that only six of its 16 teams are eligible for promotion to Liga MX. Although all 16 teams will play the Apertura 2017 and Clausura 2018 season and compete for the league title, not all of them meet the requirements to earn promotion to the first division. To advance to Liga MX, teams must have complete infrastructure, a training center independent of their stadium, and an academy or youth program (the “Fuerzas Basicas”). This entry was posted in Apertura 2017, Liga de Ascenso, Soccer and tagged ascenso mx, futbol, liga de ascenso, promotion, soccer on July 20, 2017 by Alex. Voit has introduced a new match ball for Liga MX, Ascenso MX, and the Copa MX, which will be used during the Apertura 2017 seasons: the Lummo. Voit is currently in negotiations with Liga MX to decide if they will also produce the official ball for the new Liga MX Femenil division. The new @VoitFutbol Lummo will be used in Liga MX, Ascenso MX, and the Copa MX. This entry was posted in Apertura 2017, Liga de Ascenso, Liga MX, Soccer and tagged ascenso mx, ball, copa mx, futbol, liga de ascenso, Liga MX, lummo, soccer, voit, voit lummo on June 22, 2017 by Alex. After a 2-2 draw with Dorados de Sinaloa, which gave Lobos BUAP a 3-2 aggregate victory in the Final por el Ascenso promotion playoff, the licántropos have earned promotion to Liga MX for the first time in their history. Dorados were looking to overturn their first-leg deficit, and it look them less than a minute to tie the aggregate. Moisés Velasco sent in a corner kick that Francisco Canales failed to deal with and the ball nestled into the back of the net. 1-0 on the night and 1-1 on aggregate. This entry was posted in Clausura 2017, Liga de Ascenso, Liga MX, Soccer and tagged ascenso mx, campeones, champions, dorados, futbol, highlights, liga de ascenso, Liga MX, lobos BUAP, promotion, promotion playoff, recap, second leg, sinaloa, soccer on May 21, 2017 by Alex. Lobos BUAP took the advantage in the 2017 Promotion Playoff with a 1-0 victory over Dorados de Sinaloa in Saturday’s first leg. Lobos came out looking to make their home-field advantage count, and they started the game at a good pace with dangerous chances coming early on. They hit the post and then saw a header by Diego Jiménez go just wide as they pressed for the opening goal. This entry was posted in Clausura 2017, Liga de Ascenso, Liga MX, Soccer and tagged ascenso mx, dorados, first leg, futbol, highlights, liga de ascenso, Liga MX, lobos BUAP, promotion, promotion playoff, recap, sinaloa, soccer on May 13, 2017 by Alex. The winners of the Apertura 2016 and Clausura 2017 Ascenso MX campaigns will now face off in the Final por el Ascenso, the Promotion Playoff, for a spot in Liga MX. Dorados de Sinaloa won the Apertura title with a 4-2 aggregate victory over Atlante, while Lobos BUAP took the Clausura title with a 4-2 aggregate victory of their own against FC Juárez. This entry was posted in Clausura 2017, Liga de Ascenso, Liga MX, Soccer and tagged ascenso mx, dorados, futbol, liga de ascenso, Liga MX, lobos BUAP, playoff, promotion, promotion playoff, schedule, sinaloa, soccer on May 8, 2017 by Alex. Lobos BUAP beat FC Juárez 1-2 in Saturday’s Gran Final second leg to win the Clausura 2017 Ascenso MX title with a 4-2 aggregate victory. The victory gives Lobos not just a league title, but also a ticket to the promotion playoff against Dorados de Sinaloa for a spot in Liga MX. Lobos had picked up a 2-1 home victory in the first leg, and they looked to hold that advantage here, while the Bravos pressed forward as they looked to tie the aggregate. This entry was posted in Clausura 2017, Liga de Ascenso, Soccer and tagged ascenso mx, campeones, champions, FC Juárez, futbol, highlights, liga de ascenso, lobos BUAP, recap, soccer on May 7, 2017 by Alex.